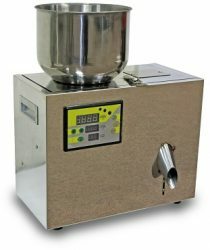 Computer Operated Filling Machine(Accuracy up to ±2grams. ), Semi-Automatic Filling Machine for Liquid(handle water-thin to very viscous fluids), Semi-auto/Automatic Auger Type Powder Metering Filling Machine. CC-1025, State-of-the-art design and manufacturing. Suitable for those types of powder, which are under 100 mesh. CC-1000W/S, Designed for weighing and filling powder, powder grit, and grit product, such as medicine, watermelon seed, nut peanut, green bean, animal-feed, detergent, rice, French bread …etc. AAM-810, This Semi-Automatic Filling Machine for Liquid is designed to handle water-thin to very viscous fluids. AAM-820, This machine is designed to handle water-thin to very viscid fluids. CC-1001, The Powder Filling Machine is designed for filling and metering various powder and granular products, such as flour, crude sugar, seasoning flavor, salt, MSG, chemical powder, medicine and Chinese herbs powder and biological powder, etc. CC-1001S, is designed for filling and metering various powder and granular products, such as flour, crude sugar, seasoning flavor, salt, MSG, chemical powder, medicine and Chinese herbs powder and biological powder, etc. CC-1002, The Granular Filling Machine is designed for filling and metering various powder and granular products, such as flour, crude sugar, seasoning flavor, salt, MSG, chemical powder and biological powder, etc. CC-1101, The Automatic Bottle Filling Machine, Can Filling Machine is designed for filling and metering various bottled / canned power and granular products, such as canned milk powder, medicine powder and Chinese herbs powder, food powder and chemical powder etc. CC-1202, Weighing Filling Machine especially ideal for weighing and filling various powder and granular products requiring big volume and high accuracy, such as highly priced medicine and Chinese herbs, biological powder, chemical powder and food additive powder etc.